with stamps from the latest release. for another great Animal Themed project!! 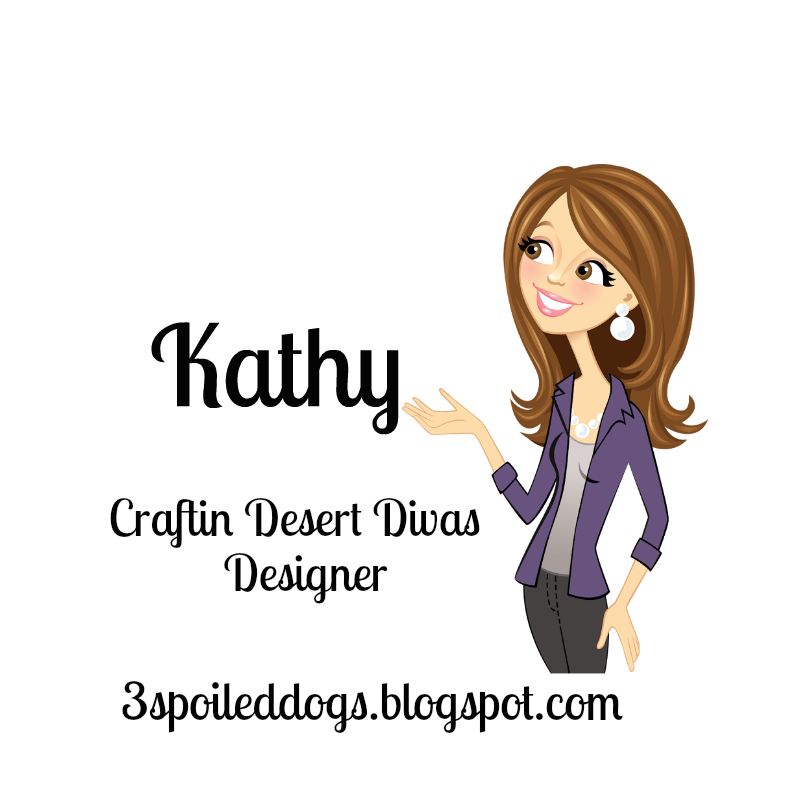 This is super cute Kathy!! 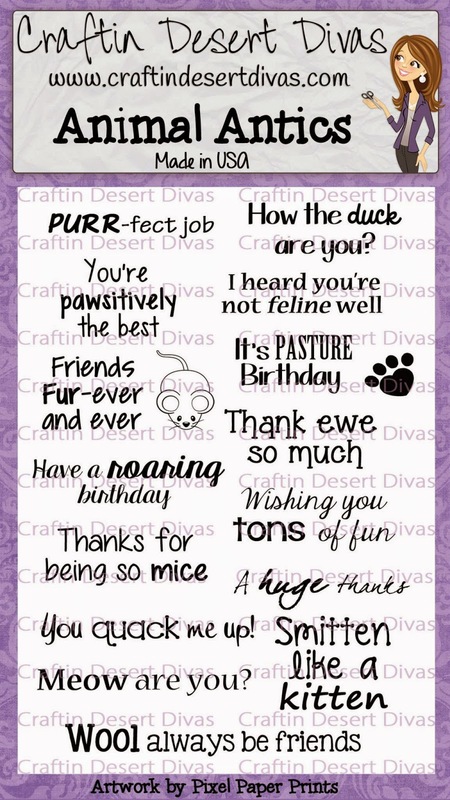 This card is soooo adorbs, Kathy! 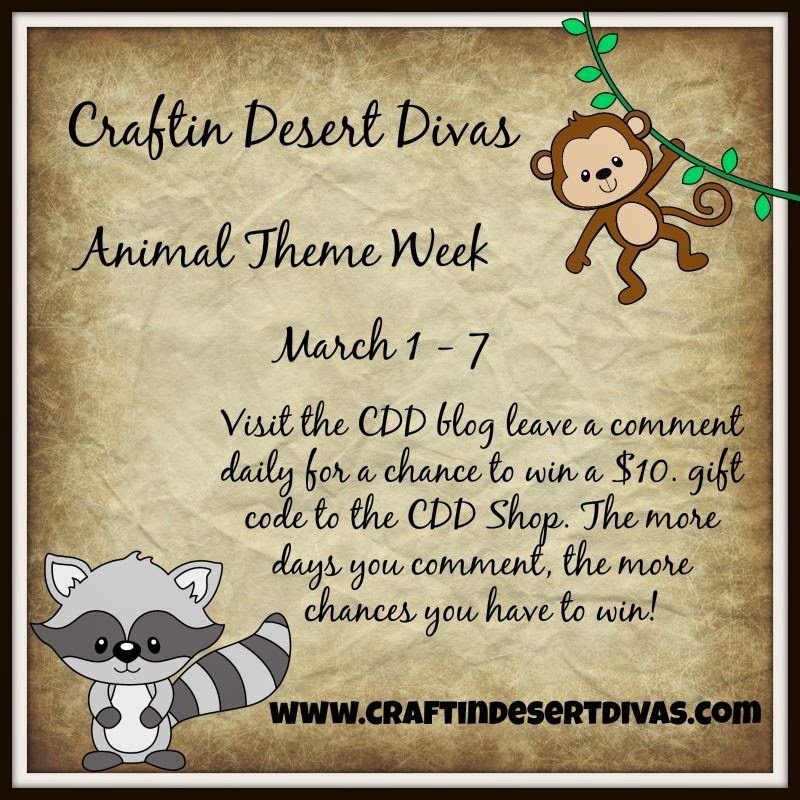 I love the idea of Animal Theme Week! Thanks Tara! Adorable! 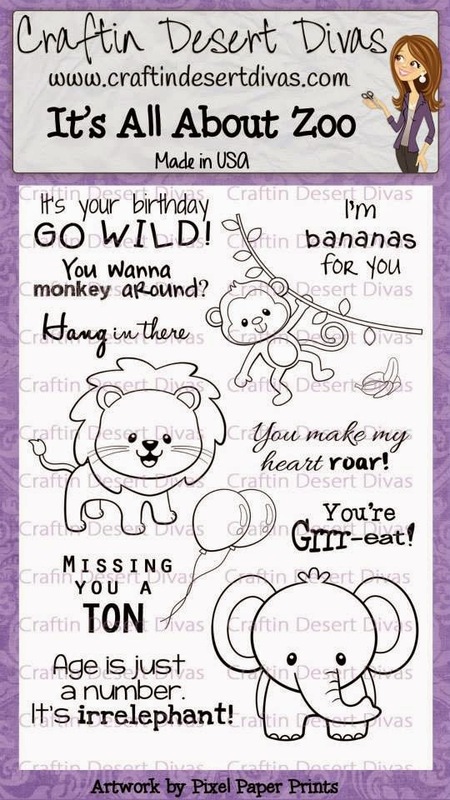 I love the stamps you used to create your card. So fun! So stinken cute Kathy!!! 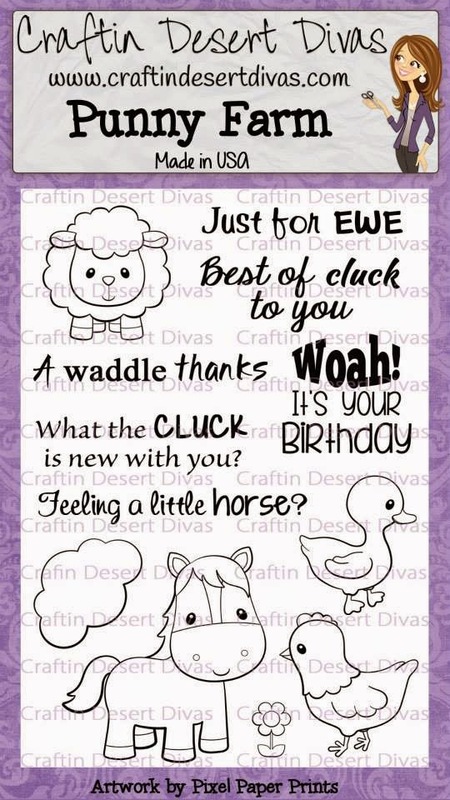 I love the adorable farm animals! Super cute!! 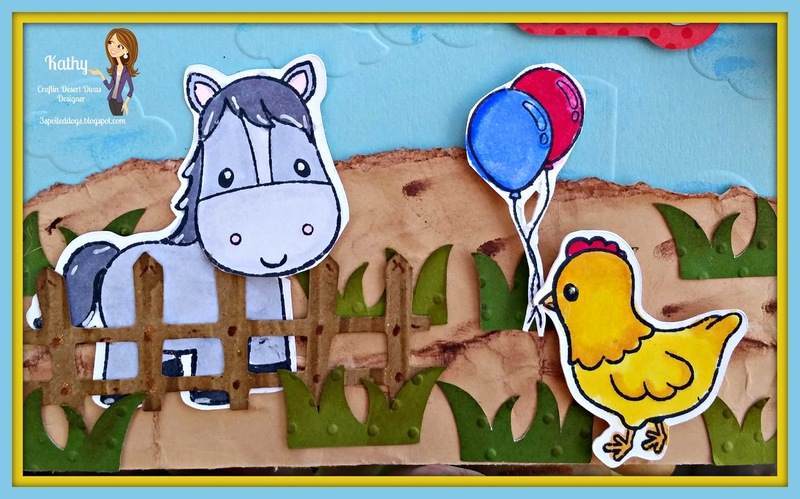 That sentiment IS really fun and the scene you created is adorable! 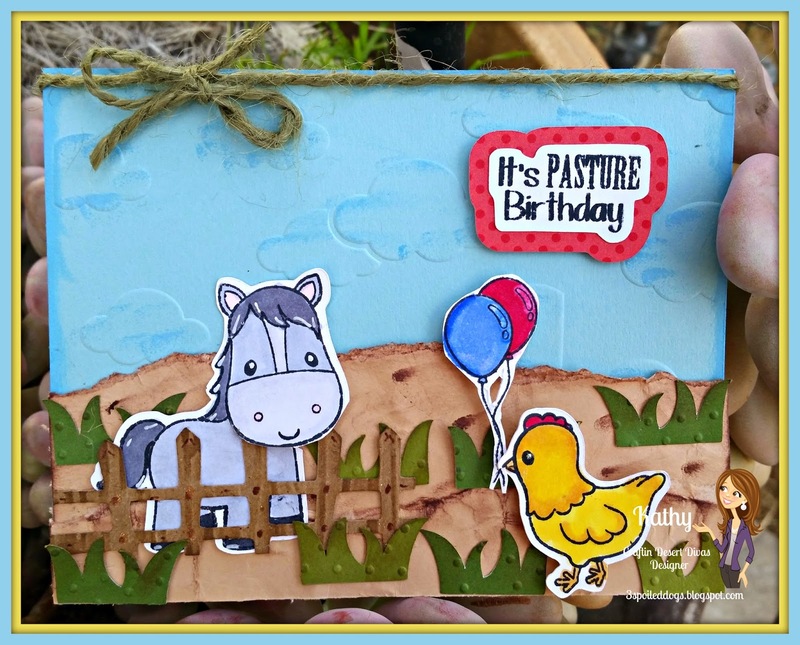 Super cute card and cute stamps. Love all the critters. Your scene is so cute! Love the pun, too. That horse and saying are great!! Ha ha, great pun! 1 year, how exciting! I was wondering how you would use that pun with a card. Great job, very creative. This is so adorable! What a cute little scene! 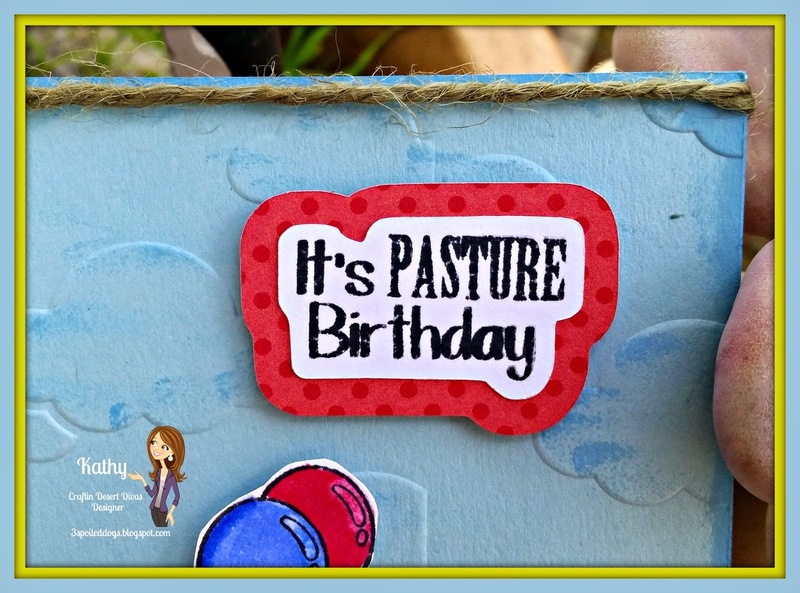 I love your sentiment stamps!